All three indicators edged upward. Source: American Chemistry Council. 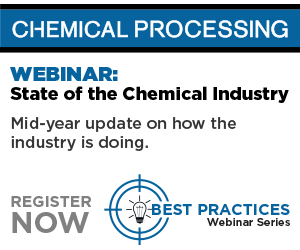 The Chemical Activity Barometer, a metric developed by the American Chemistry Council, takes into account that chemical industry activity occurs early in the supply chain and so offers a leading economic indicator for the overall U.S. economy. Because of the time needed to collect and generate the data, results presented lag the date they are posted by several months.